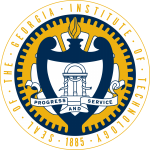 The Georgia Institute of Technology is a public research university in Atlanta, Georgia, United States. The school was founded in 1885 and has expanded greatly. 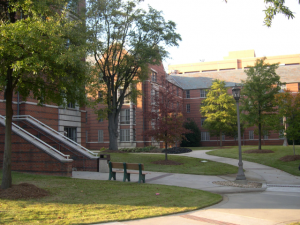 The Georgia Institute of Technology now has six colleges and contains 31 departments, with a strong focus on science and technology. Female students were first admitted to the school in 1952. Georgia Institute of Technology is a part of the University System of Georgia and has satellite campuses located around the world including France, Ireland, China and Singapore. The Georgia Institute of Technology offers many different programs and is well recognized for Engineering, Management, Sciences, Computing and Liberal Arts degrees. The student body is made up of over 20,000 students. The school employs approximately 1000 full-time faculty and is committed to providing terrific teacher student relations. The school’s undergraduate and graduate programs are divided into six colleges including; the College of Business, College of Liberal Arts, College of Computing, College of Architecture, College of Engineering and the College of Sciences. 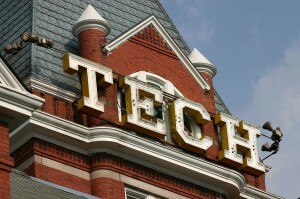 Georgia Tech provides many research and mentoring opportunities for students. The school encourages undergraduates to work alongside graduate students and faculty to share ideas and provide tutoring. The school also has strong ties to the industrial world through cooperative and internship programs which can lead to employment upon graduation. The Georgia Institute of Technology is different than many other technical colleges because it is a public institution. Georgia Tech receives most of its funding from the State of Georgia, tuition payments, student fees, research grants, and contributions from alumni. Tuition depends on whether the student is from in or out of state, as well as what courses they take. In 2010, the Institute’s revenue amounted to approximately $1.16 billion. Georgia Institute of Technology’s main campus occupies a large part of Midtown Atlanta. The school has done a lot of work in order to ensure students feel comfortable in their new surroundings including the Familiarization and Adaptation to the Surroundings and Environs of Tech Orientation and Freshman Experience. These programs are intended to relieve stress and encourage a feeling of community within the school. In 1996, the campus was the site of the Athlete’sVillage for the Summer Olympics. Today Georgia Tech student housing is 99% occupied and provides housing for 8,347 students. The school is also home to the $179 million Technology Square which contributes to the development of many startup technology companies. There are over 350 different organizations and programs that students at Georgia Institute of Technology can get involved with. Some of these organizations include; The Student Government Association, the ANAK society, WREK Radio station, music groups, the student newspaper (The Whistle) and band. Greek life is also alive and well at Georgia Tech, with over 50 active chapters of social fraternities and sororities. Studies at Georgia Tech are known for being very stressful, so faculty encourages students to get involved with extra-curricular activities in order to have more balance and downtime in their hectic schedules. Georgia Institute of Technology has many different sports programs for students to choose from and considers sports to be an important part of student life. 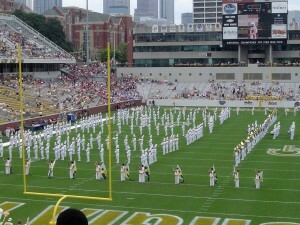 Georgia Tech’s sports teams are referred to primarily and officailly as the Yellow Jackets. The sport’s teams have also been commonly referred to as the Ramblin’ Wreck and the Engineers. 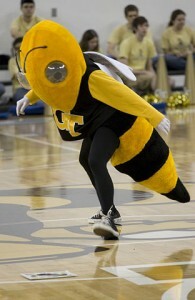 The school’s mascots are Buzz and the Ramblin’ Wreck. The school’s fight sport song is very ppoular and is known worldwide. The song lyrics are “I’m a Ramblin’ Wreck from Georgia Tech”. Georgia Tech also participates in many non- NCAA club sports including cricket, cycling, fencing and ice hockey. Georgia Institute of Technology has many notable graduates including the former President of the United States, Jimmy Carter. Georgia Tech has also created many respected business leaders including the CEO of AT&T Corporation, David Dorman and the CEO of Wal-Mart, Mike Duke. Comedian and actor, Jeff Foxworthy and NBA all-star, Chris Bosh are also notable graduates.